There is a certain lure to eating outside of an air-conditioned box – it is easy, cheap, and often very satisfying. Bangkokians have been fortunate to enjoy this “luxury” of cheap, easy access food for a very long time – from that oozing egg noodle spot that everyone who goes to Ekamai knows about, to the ever reliable “Chai 4 Mee Giew” noodle carts that normally reside in front of your local 7-11s – street eats not only leave your stomach full, but often time also have a special place in your heart. 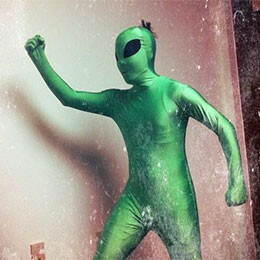 But just like anything else, good things evolve. We know you loved your Nokia 3210, but look at what you can do now with your iPhones. So as much as we love our old aunties and uncles who made us our late night noodles from their push carts, it is now time to give the next generation a chance – make way for the noodle carts of 2016: food trucks. 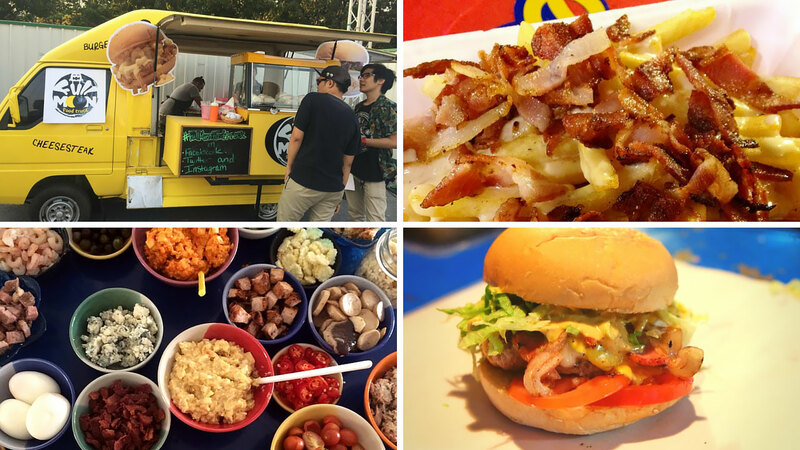 We understand that trying to locate all the food trucks in this bustling city is not an easy task. 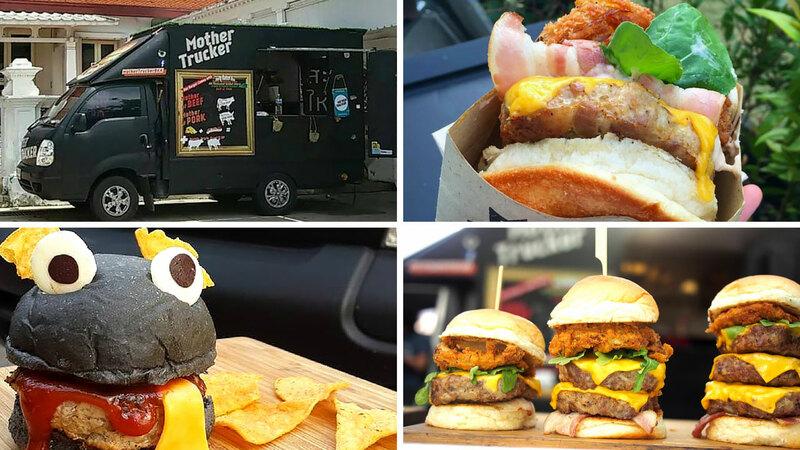 Lucky for you, our extensive effort to create a food truck archive has been completed, and we are excited to share it with you. 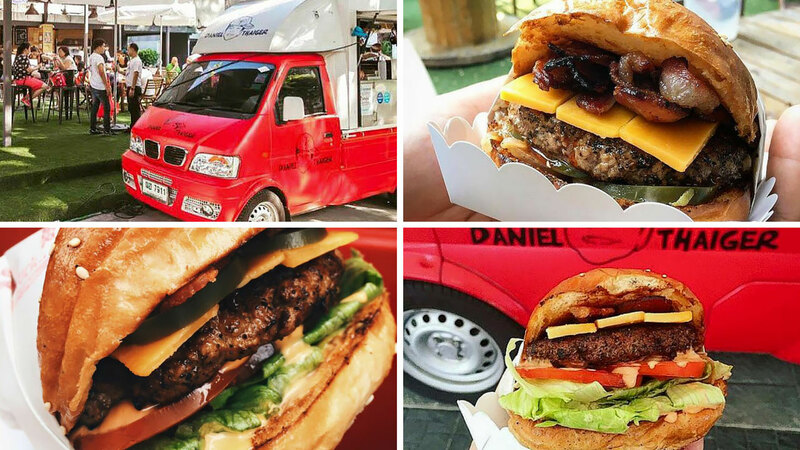 Arguably a pioneer for the food truck scene in Bangkok. Daniel Thaiger serves up some of the meanest burgers in town. Their staple menu is the beef patty burger but also have a pork option for those who are not into beef. With a rotating menu of surprise options popping up from time to time, you will never get bored! Find their location on their Facebook page. If you are into cheese, then the Full Moon Food Truck is what’s up! The New York City guys can surely make a Philly cheese steak sandwich. If that is not enough, then try their VERY VERY cheesy mac n’ cheese or cheese fries. You would think you died and popped up in cheese heaven. Find their location on their Facebook page. A burger so juicy it will probably get your shirt dirty. If you had a bib, wear it because baby Mother Trucker’s burgers will ooze with all the goodness that they have stuffed in their beef or pork patties. Their burgers are huge and will satisfy your cravings any time of the day. Find their location on their Facebook page. 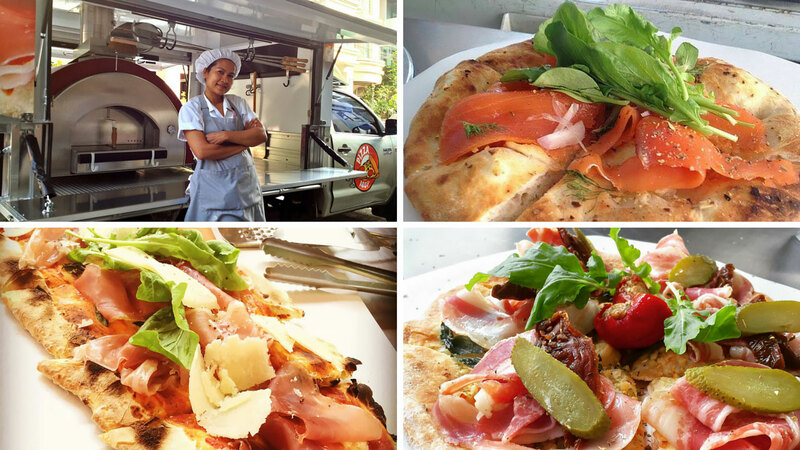 Self-billed as “Thailand's 1st wood fired mobile pizza oven on a pick-up truck!”, Pizza Aroy ensures that they retain that Thai flavor even in their name. Their setup is pretty advanced and believe us, the wood fire pizzas that they make right there on the back of the pickup truck look as if they could have come out of a 5-star kitchen! Find their location on their Facebook page. 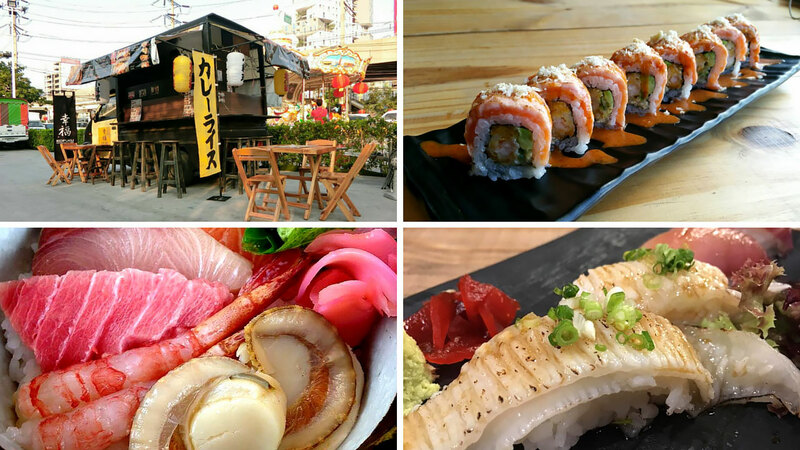 Although Kofuku actually has a few locations, one being a decked out container, they do have a mobile truck which ventures out to serve “the original street curry”. By no means will we claim to be an expert in curry, but we are an expert in eating good stuff, and this is definitely some good stuff. Curry topped with fried katsu pork with some cheese? Yes, please. Find their location on their Facebook page. Annette might not make food-food, but she makes dessert food. 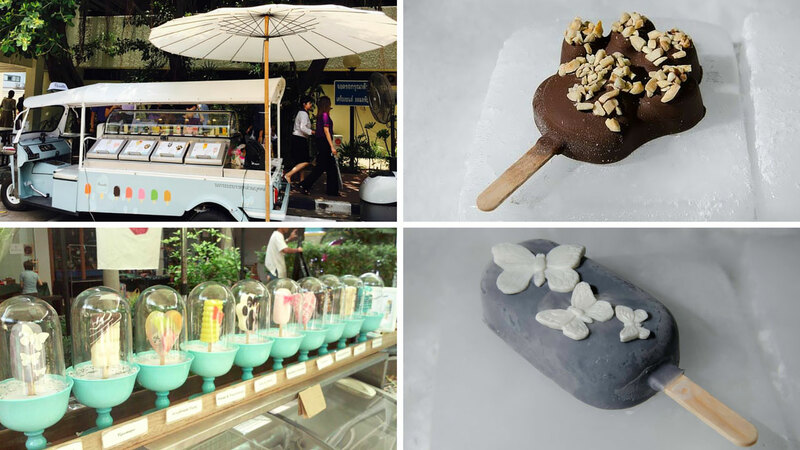 The beautiful ice cream creations that get dragged around in the cutest tuktuk will turn heads. So after some of your main courses have slipped down your throat, the many flavors of ice-cream (aka itim) Annette has will definitely satisfy your sweet-tooth. Our favorite is the blueberry yogurt (we love butterflies)! Find their location on their Facebook page. 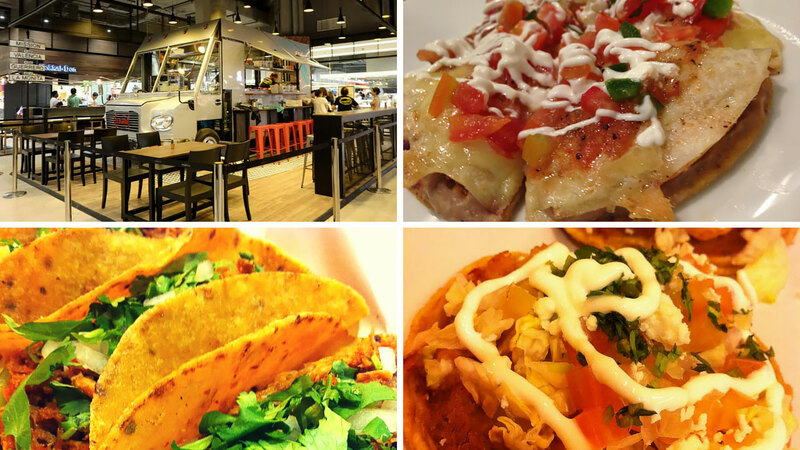 La Monita started off as a restaurant hidden in the Mahatun Plaza complex with their success attributed to one main thing, and that is their amazing food (and possibly margaritas). Different branches started popping up by popular demand, including the Taco Truck which is permanently parked inside of a mall. With the “Baja Sauce” only made available on the truck location, they are definitely worth a visit. Find their location on their Facebook page. The risky business of food trucks often means that you must sell what you bring as space for storage is limited. SummerStreet takes the game to a different level with their different offerings of seafood which are as fresh as they come. Their establishment may look pretty immobile, but at the heart of it all is a truck that brings the ocean on to land. Find their location on their Facebook page. Orn’s chargrilled burgers are filled with flavor. 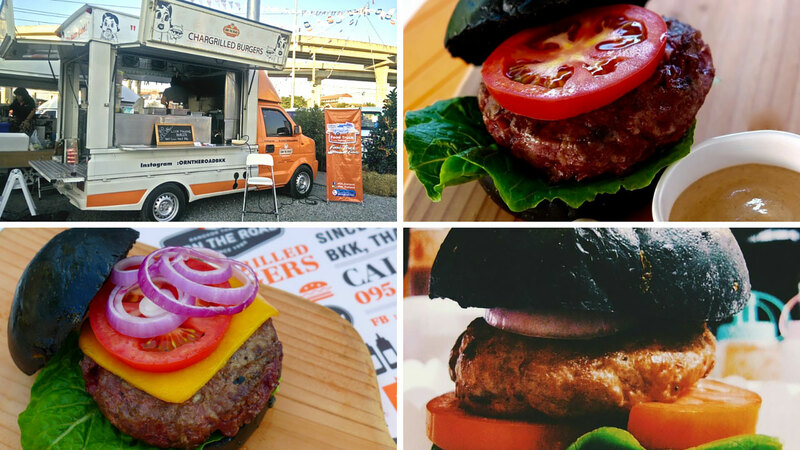 Served out of their bright orange truck, their localized Bangkok Burger is cooked with spices and Thai herbs – something that cannot be found in many other burger joints in town. Another creation of theirs, the Black n’ Blue is a black bread burgers stuffed with blue cheese and an awesome patty that is surely worth filling that empty stomach with. Find their location on their Facebook page. Banh Mi Bo no longer focuses on “food trucking” per se since their business volumes have increased so much that we assume it is better handled in a full kitchen. 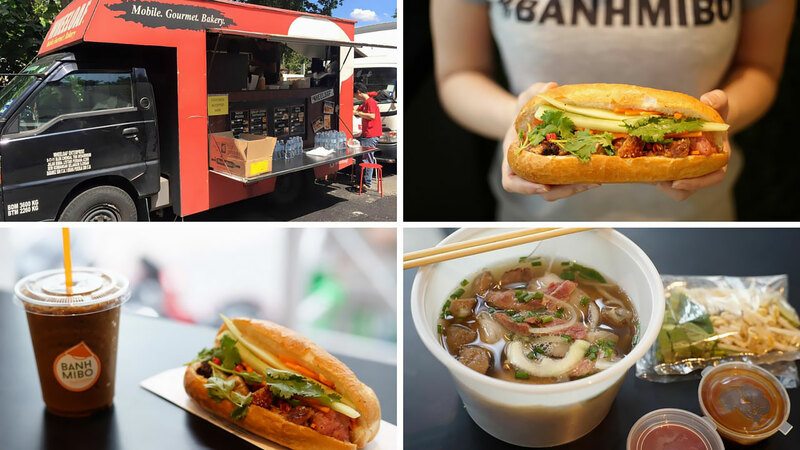 But we made a slight exception for them as they still manage to make appearances in places to wow us with their specialty banh mi (sandwich) stuffed with a variety of crispy roast pork, BBQ pork, Vietnamese grilled pork, lemongrass chicken, and tofu. Find their location on their Facebook page. 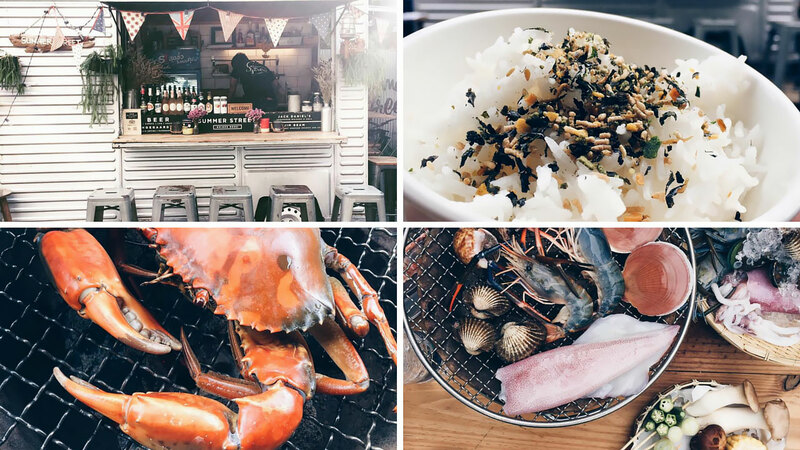 For all you foodies, we hope this list will keep you busy for a while. Check back with us in a weeks’ time when part 2 of the list will be published! Happy munching!